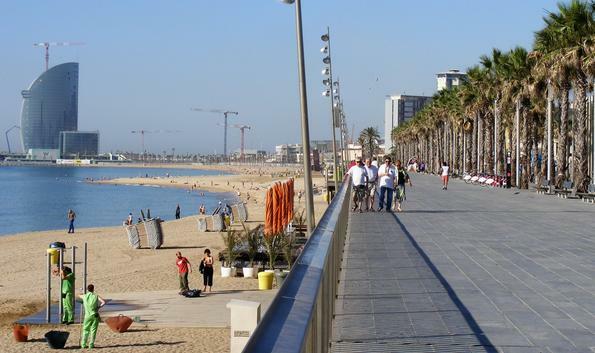 The geography of the city of Barcelona, because it is located by the sea, is basically flat. 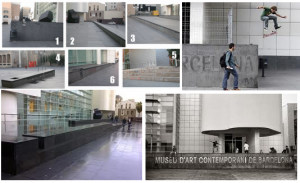 That is an advantage for good practice in any skating activity and Barcelona has a good deal for practice of ice skating, inline skating and skateboarding. (*) Only during winter season. The price is approximately 15€ and it includes ticket and the rental of basical equipment. Note that special prices are given for groups from 10 people. Skating Barcelona works also as a skating school for all kind of people and levels, check their website for more information clicking here. F.C. Barcelona Skating works also as a skating school for all kind of people and levels, check their website for more information clicking here. By the sea there is a 5 km pedestrian road perfectly entitled to practice outdoor sports: running, cycling or skating. Along this path you may find some shops specialized on inline skating for rent, if you are interested look around Vila Olimpica area. Barcelona has an excellent reputation for the practice of skateboarding staying on top of the best city in world for its practice. 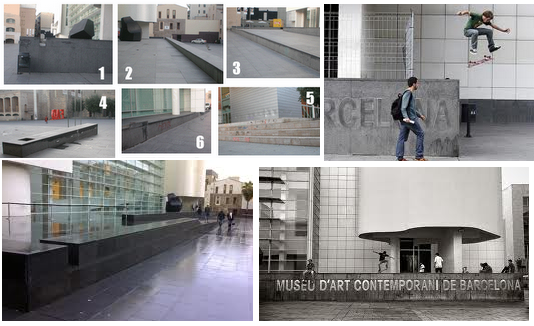 The ideal architecture used in buildings and parks (MACBA, Forum, Paral.lel, Santsmakes this city a place of obligatory visit for all experts of skateboarding, check it out clicking here.